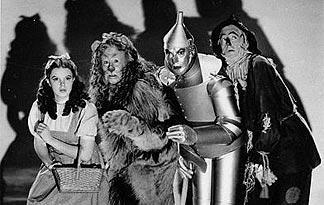 Dorothy Gale might have been on to something when she repeated the phrase, "Lions, and tigers, and bears, oh my!" while walking along the yellow brick road in the film "The Wizard of Oz." Would you be surprised to learn there could be a lion, tiger or bear living right down the road in your own neighborhood? According to the American Society for the Prevention of Cruelty to Animals (ASPCA), hundreds of millions of exotic animals reside in the United States, so it's not as uncommon as you might think. And while most exotic pets have private lives hidden away from the public, some become legendary thanks to their famous owners. From alligators in the White House to sharks in New York City, we've found 10 of the weirdest -- and most famous -- pet stories around.